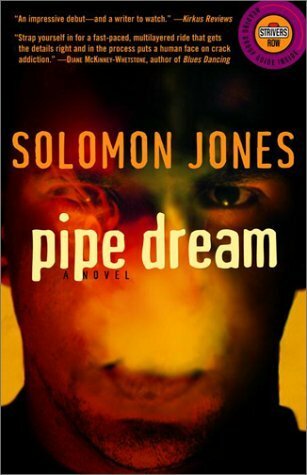 I've been reading Solomon Jones's Pipe Dream, and so far so good. I'll share some reflections when I finish. For some reason this title has been on my radar for a long time so I feel like I'm finally getting to something I put off for too long. I'd be glad to hear from anyone else who's read this author, or even to get to know whether his is a name that stands out. This books is worth a read. It requires some suspension of disbelief, as it's kind of a mix of gritty realism on the level of ordinary human interaction, and more contrived structure at the level of the overall plot design, which is rather like an exciting crime thriller. Things come together rather more neatly than they typically do in our ordinary lives, thanks to a significant number of coincidental encounters. The author definitely understands addicts, as well as some police officers, so he can play out a drama from multiple perspectives. Nuanced and morally-ambivalent characters are the most interesting, while the less nuanced criminal-conspirators and powers-that-be are somewhat less interesting, but they provide the narrative drive and a foil to the protagonists. There's no doubt the author has a professional polish to his writing style, and he seems like he should be very successful writing for television series or popular mainstream thrillers. His empathy for addicts on a self-destructive path and his understanding of the unjust scapegoating of a black underclass to conceal the greater crimes of political power-brokers and the brothers in blue are the factors that distinguish his work and help it rise above the concerns of more mainstream fiction. As a quibble, the book engages maybe a little too much in what I think of as 20th-Century psychological fiction tropes (a tradition that carried into the 21st), pursuing the idea that everyone can be better understood if we discover the formative childhood relationships or defining traumas of a person's life. I prefer to leave more of this undiscovered or obscure, because my experience of life shows humans to be opaque, arbitrary, and surprising. I like little moments and quirks, such as a momentary window into a character's mind, as in the passage where Clarisse, a nurse, tells of freaking out while working a shift: "As hyped up and nervous as I was, I probably would've messed around and killed somebody doing that mess." and... "Black imagined Clarisse repeatedly trying to jab a needle into someone's arm--accidentally at first, and then in a deliberate stabbing motion. He grinned, thinking of how silly the whole thing would look..."
I know that out of context this doesn't seem like much, but a little breather like this, when we shift to a character's imagination, rather unnecessarily, and as a digression from the main narrative, is what gives life to fiction for me. I'd have liked a few more moments like this.